Daycare is a popular choice for working families because it’s convenient, affordable, and the quality controls in place provide peace of mind for parents. Choosing one however, can be a daunting task. It is imperative the process of finding a daycare begins as early as possible. In many areas, demand for quality childcare is extremely high and the best centers often have long waiting lists. 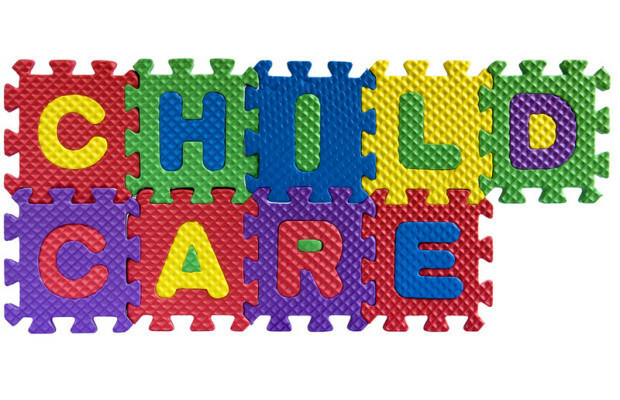 Most states require that child care facilities be licensed with the state. The first step in finding the right daycare facility is to check your state’s department of early care or department of education to find out what the licensing requirements are in your area, if facilities are regularly inspected, and if those reports are made public. Often they can provide a list of licensed facilities within a certain zip code. These resources are a wealth of valuable information that will kick start the search. If your state does have inspection information that is open to the public, review a few of the most recent inspection reports and eliminate centers that have repeat infractions. Inspection reports will usually show some violations, but if the same issues continue to appear each time this shows that they are not being addressed by management. Asking for references from local friends, family, or neighbors is the best way to narrow down the potential list and ensure finding a quality center. If those resources are not available, try online groups of local parents or online reviews. While these sources can be helpful, keep in mind that most established businesses will have a few disgruntled customers from time to time. 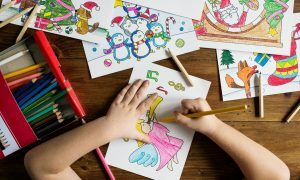 It’s unwise to eliminate a daycare center based on a single bad review especially when related to business items such as delinquent payment issues. Instead focus on reviews that specifically address the quality of care provided by the center. After narrowing down your list of daycare centers, it’s time to visit some of the facilities. Do not call the center beforehand to schedule an appointment. They should be able to accommodate a quick tour at any time. Dropping by unexpectedly ensures you are seeing the facility during a normal operating day. If they ask to schedule a visit at a later date, this is a red flag and that center should be eliminated. As mentioned previously, many policies and procedures such as staff to student ratios, are regulated by the state so these criteria should be universal across each center you visit. Focus instead on asking questions regarding factors that do vary among centers. Ask about staff qualifications and turnover. Do teachers have degrees in early childcare education? If teachers tend to stay for long tenures this shows that they are well compensated and management values quality staff. Ask about cleaning procedures, not just the center itself but the toys and playground equipment. Is this done by the teachers at the end of their shift or is a third party utilized for these services? How regularly is this done? Ask about food preparation. Is there a chef on staff providing food or a third party? Is food required to be brought from home? How easily can they able to accommodate special dietary needs? Are there extracurricular activities available? All of these elements vary widely between centers and should be considered when making your decision. Ask for a schedule of tuition across each of the classrooms and find out how often these rates are increased. It’s also wise to ask about vacation time as it’s common for centers to charge even during time off in order to secure the child’s spot while they are out. Confirm any charges that are in addition to the tuition cost. On a final note, the information gathered from the state licensing boards, local recommendations, and facility tours can go a long way to evaluating the quality of each daycare. However the true excellence of childcare center lies in its staff and their commitment to providing high quality childcare. When touring, pay close attention your intuition and evaluate your comfort level with each staff member as these will be the people that play an integral role in your child’s early development.